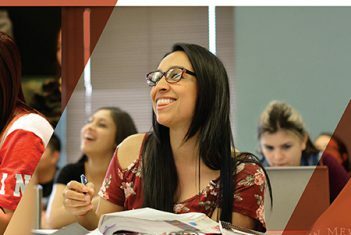 Registration for the Summer and Fall semesters at Northern New Mexico College opens on Monday, April 16, at 8:00 am. This registration period is open to everyone. Summer classes begin on Monday, June 4, while Fall classes begin on Monday, August 20. New students can complete an application form online at www.nnmc.edu or visit the admissions office on the Española campus. Early registration allows students enough time to discuss an academic plan with College advisors and secure their place in the classes of their choice. Returning students should register by May 11 for a chance to win one of four $300 scholarships for Fall 2018. Northern will be holding a College-wide advising and registration day on Wednesday, April 25, from 10 am to 7 pm. Year-long Pell Grants are available for the Summer semester. Contact Northern’s Financial Aid Office for more information. Northern New Mexico College’s Board of Regents have decided not to raise tuition for the 2018/2019 academic year. Financial aid staff are available in Northern’s Student Services area to assist students who have questions. For a full Schedule of Classes, visit https://nnmc.edu/home/academics/class-schedules/. Northern New Mexico College is an Open Admissions College. Admission requirements are a high school diploma or GED, Transcripts and ACT/ SAT scores. Whether you are a first-time, returning or transfer student, it’s easy to apply. If you’re ready for higher education, we’re ready to work with you to achieve your goals. For admissions, registrations and advisement call 505-747-2111.